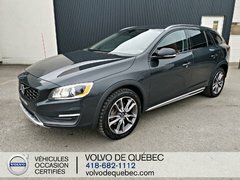 Buying a new vehicle at Volvo de Québec is always a pleasant experience, but the same can be said of our pre-owned vehicles department. At Volvo de Québec, the quality and reliability of all the vehicles we have in inventory gives us great pride and satisfaction, and we want to make sure we always exceed your expectations at each visit. Our team of sales representatives at Volvo de Québec is made up of automotive enthusiasts who are also looking to differentiate themselves in terms of customer service. You’ll never have to worry about feeling any kind of pressure and we will always take care of you quickly whether in person or by email. 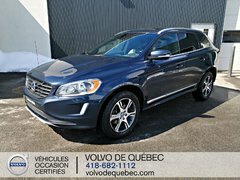 At Volvo de Québec, we select by hand the pre-owned vehicles that you see in our inventory. Often, we know the origin of the models since they belonged to one of our customers. In any case, we always make sure to only offer models that really stand out in terms of quality, reliability and durability. Come and discover our extensive inventory of pre-owned Volvo models like the Volvo XC60, the Volvo XC90 and pre-owned Volvo wagons and past models. We also have several models from other brands to offer. 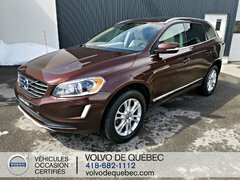 Come in to Volvo de Québec to discover our complete inventory of pre-owned models from other brands as well as our large selection of pre-owned Volvo vehicles. At Volvo de Québec, all of our pre-owned vehicles have been inspected to ensure their quality and reliability. We don’t have any vehicles for sale that we wouldn’t offer to a member of our family. Once you've found the Volvo that's right for your needs and lifestyle, you'll be able to take advantage of a host of financing options to purchase your next pre-owned car. 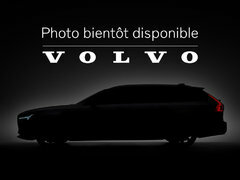 We also have several special offers to offer at Volvo de Québec and promotions that are updated regularly. 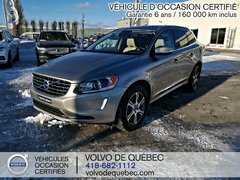 We are always looking to offer you more at Volvo de Québec and it all starts with the quality of our vehicles in inventory and our promotions that give you more for your money. Volvo de Québec believes in the importance of providing a level of service that stands out combined with high-quality vehicles. Come and meet us today to learn more about all the pre-owned vehicles offered at Volvo de Québec.